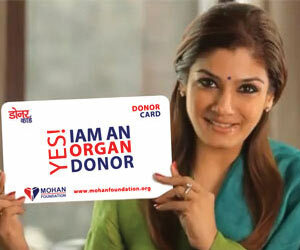 MOHAN Foundation realizes the importance of partnership with NGO/CSO/Associations/Trusts & Societies and strongly feels that partnership is the only way to achieve effectiveness and make organ donation program sustainable. We believe in collaboration in order to increase our reach to serve the maximum. Our goal is to build a quality system of organ transplantations that is accessible to everyone and affordable. In order to unite people for building and establishing such a system, we need to make a collaborative effort for the community. Join us as we raise awareness about organ donation among Indians, produce and disseminate ideas and reports that stimulate the populace on organ donation and groom the next generation of social entrepreneurs.